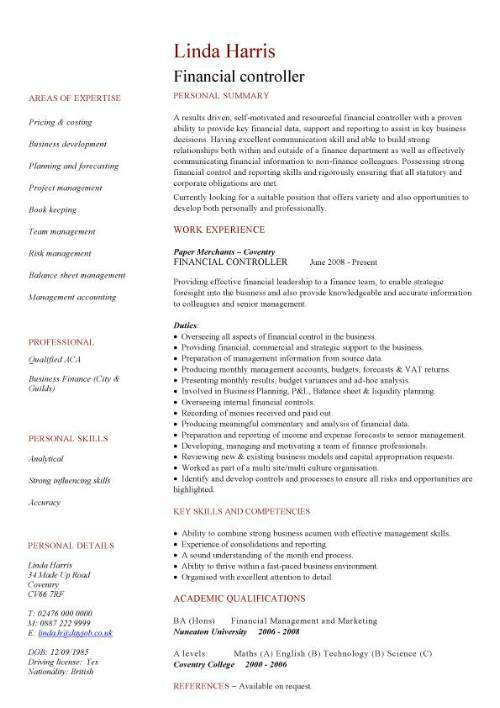 On this page you will find a link to a professionally written financial controller CV template and also get tips on what points to focus on in your CV. Experience of dealing with all aspects of an accounting. Production of four weekly and annual accounts. Preparation of quarterly VAT, Tax and NI returns. Providing meaningful and timely financial information to senior management. Having a track record in managing change and implementing processes and procedures. Reviewing the quarterly and annual statutory returns. Reviewing new business models and identifying where improvements can be made.